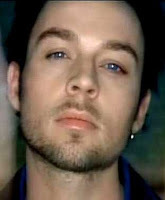 I spent a little time today with my first love, Savage Garden. And I think I’ve rekindled the flame. Is there any thing that can ever compare to the first song you fall in love with? That’s what music has always been for me - falling in love. And Savage Garden.. there’s this melodramatic pop music 13-year-old-girl part of me that aches every time I hear Hold Me, Crash and Burn, Affirmation, Tears of Pearls, Moon and Back… all of them. There is not a single song on those two CDs that I don’t love, don’t know every single word to. When I was younger, I went to North Carolina with my family. Fifteen hour drive. The only CD I listened to was Affirmation. And I never once got tired of it. To this day, those songs have never gotten old for me. I’ve given a total of 7 Savage Garden CDs as presents. The only close runner up is Something Corporate, I’ve given four copies of Leaving Through the Window. Savage Garden holds a place in my heart that no other band or song ever could. Honestly, like a first love. It was the music I loved when I was hopeful and 13, when I was hopeless and 16. I firmly believe that you never love music more than the music you loved when you were young. I’m still young; I’m still falling in love with new songs all the time. But there are few that compare to the songs of my most fragile teenage years: Savage Garden, Something Corporate, Brand New, Sugarcult, Death Cab for Cutie, Bright Eyes. Savage Garden has always reminded me that you can learn from pain. Start Static by Sugarcult always made me start off angry, and end up crying. Still does. Brand New was one of the only tapes I had in Blanche, in the last year of high school, that I played really loud when I was pissed off. I used to listen to Something Corporate’s Leaving Through the Window for hours. I would just lie on my bed, stare at the ceiling and listen. To every line, every bar… I could isolate each instrument on that CD. And I would dream and think and just… feel. Bright Eyes is the most hopeless times in my life, so potent that just listening to a favourite Bright Eyes song can make me cry. Death Cab for Cutie was about hope and love and hope for love and, for me, is the sexiest music I’ve ever heard, it seduces me every time. I have new loves in my life; Regina Spektor, Ingrid Michaelson, Gregory and the Hawk, Jack Johnson… But nothing ever feels the same as Savage Garden. I enjoy Savage Garden and I have always loved Something Corporate, I may not be a punk rock princesses but I am still looking for my garage band king.